Published on 23 February 2012. 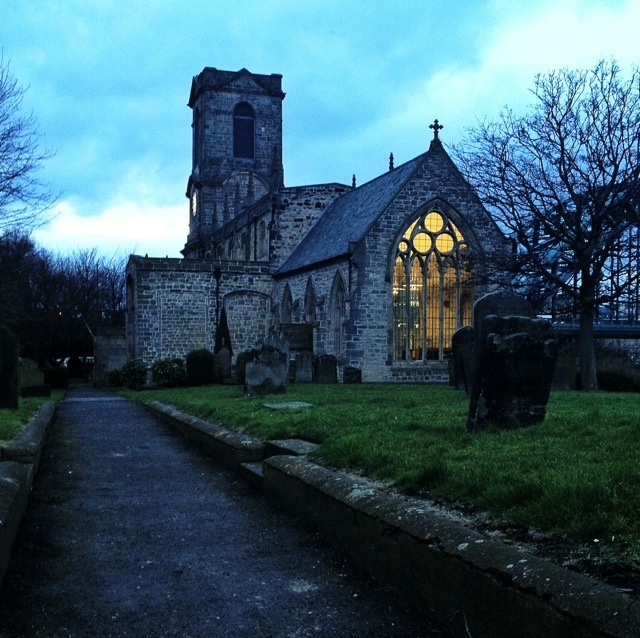 St Mary’s on Gateshead quayside is over 900 years old. It’s over 30 years since it was last used as a church, having been an auction house, a tourist information centre, and now – appropriately – home to Gateshead Heritage. It caught my eye because of its plain glass (rather than stained glass) windows, which give it an unusual sort of ethereal quality… which, I suppose, is appropriate for a former church. I think this photo might just be a little too light to really show it, though. This 1,538th post was filed under: Photo-a-day 2012, Architecture, Gateshead.